Today is that day, tax day when, if you haven't already, it's time to get your taxes or extension files and taxes paid. Tax day always brings some stress, some angst and the scammers. Con artists constantly look for new ways into your wallet and accounts. Your job is to be ever vigilent and protect yourself. 1. 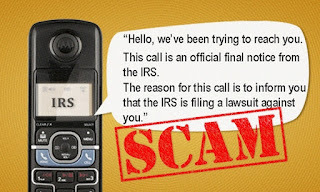 The IRS does not call on the phone or email ANYONE! This is an old trick used by con artists--imitating people you are already afraid of--like the taxman. 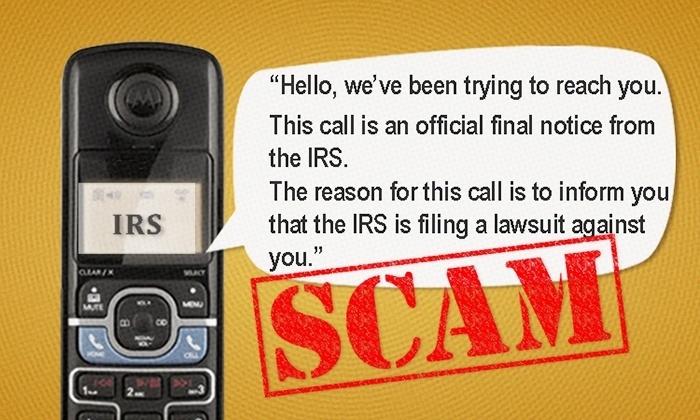 Be aware that the IRS does not call, text or email. Also, if you take a call, all IRS personnel must identify themselves by name and identification number. Scammers will not. 2. The IRS and states do not contact you via social media or text. As tempting as it might be to respond bear in mind that you are receiving a message from a con artist and not from the IRS. Your best course of action is to use your delete key. 3. Do not post your financial information online or on ANY social media site. Does this require explanation? No. Just don't do it. Ever. The only person who can prevent a con artist from scamming you is you. Always apply these 3 simple steps as your first line of defense. For further information refer to articles and FAQ sections of the IRS, State of Colorado and Colorado Attorney General's websites.